Shoulder pain can be caused by numerous injuries which directly affect the surrounding structures of the shoulder joint and/or conditions which may originate from other regions of the body, such as the spine. Regardless of the cause of shoulder pain and other symptoms, individual’s affected with shoulder discomfort commonly pursue treatment options to improve their symptoms. There are several types of treatments to help an individual’s shoulder symptoms accordingly, although each different, these can all achieve shoulder pain relief. Before starting treatment for shoulder pain, despite the type of injury or condition, correcting the body’s ability to stabilize the affected individual’s shoulder blades can help reduce symptoms. 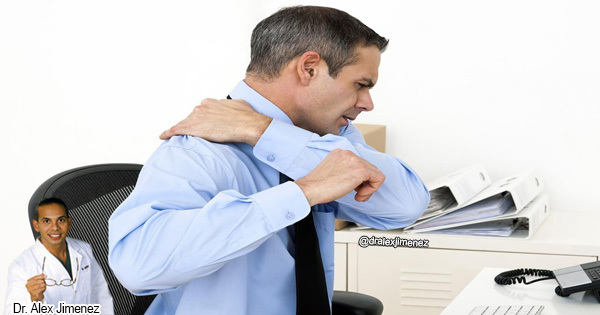 People who frequently sit with a poor posture with their shoulders rounded and their neck pushed forward while staring at a computer screen for an extended period of time may often experience a much more painful shoulder injury. Shoulder blade pinches are an effective and simple exercise that can help stabilize the shoulders. First, you have to bring your shoulder blades together and down, making sure you don’t move your arms and then, you hold that position for about 5 seconds. Approximately 30 shoulder blade pinches can help improve the stability of the shoulders and relieve some of the symptoms. Another treatment option for shoulder pain that can also be used effectively for improving shoulder injury symptoms is elastic therapeutic tape. The therapeutic tape is an elastic, cotton strip with an acrylic adhesive that usually comes in a variety of colors. Although this product can be purchased at a sporting goods store for personal use, using the therapeutic tape improperly can render it ineffective. It’s recommended to seek a medical professional who specializes in the accurate use and placement of elastic therapeutic tape. If properly applied, the elastic therapeutic taping method can greatly benefit an individual’s shoulder injury or condition and help alleviate shoulder pain and other symptoms. Finally, chiropractic treatment can be an effective treatment option for many types of shoulder injuries and conditions as well as help keep the symptoms away for good. The shoulder is considered the most mobile joint in the human body, surrounded by a complex system of muscles, tendons, ligaments, nerves, and blood vessels. Even with all the different tissues supporting the shoulder joint, it can shift out of alignment and cause the other structures within the shoulder to function incorrectly. 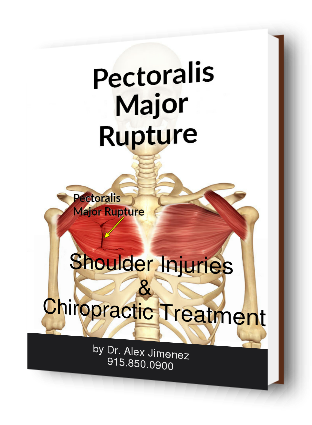 According to the individual’s symptoms, shoulder adjustments and manual manipulations can be performed by a chiropractor to slowly shift it in its proper placement. Additionally, the chiropractor can also adjust the neck and upper back to further help relieve shoulder pain and discomfort. Regular chiropractic care for a shoulder injury or condition can ultimately restore an individual’s natural body functions.